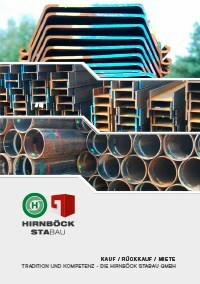 All sheet pile interlocks and steel products by Hirnböck Stabau are dispatched with recommendations of use and safety data sheets. The sheet pile interlock Melavill SP is initially heated to a maximum 200 °C in its packaging in a suitable, indirectly heated agitator boiler. The sheet pile interlocks have to be dry, clean, free of loose parts, free of grease, oil and dust. Otherwise, for Melavill SP to stick in the interlocks, a cleaning with compressed air, wire brush or high pressure water jet is recommended. The steel sheets must be laid out in a perfectly horizontal position. In order to prevent the liquid Melavill SP from flowing out of the interlocks at the ends, they must be sealed with putty or similar. The quantities given are based on the Larssen interlock according to EN 10248. For other types of interlocks, consumption may vary accordingly. Receive your sheet pile interlocks here – have you placed your order already?